AUSTRALIA’S saleyard, stock agents and livestock transport sectors are mourning the passing of “unsung champion” David Pollock last week. A statement from the Australian Livestock Saleyards Association and the National Saleyard Quality Assurance Program advised that Mr Pollock passed away on Thursday March 29 after a short illness. ALSA president Stuart McLean and NSQA president Ian O’Loan said Mr Pollock, 75, had a long standing involvement with the industry including a range of roles over the last 25 years. He served in several executive officer positions in the industry, including with ALSA’s predecessor the Livestock Saleyards Association of Victoria, the Victorian Stock Agents Association, the National Association of Saleyard Service Organisations, the Victorian Livestock Transporters Association and the National Council of Wool Selling Brokers of Australia. Mr Pollock was also a founding board member for NSQA and only recently stood down from his role as executive officer for the body; his last industry position before retirement. Mr McLean said Mr Pollock has left a strong legacy that most industry participants will not be aware of given his role in the background with the organizations listed above. 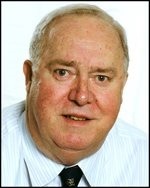 Mr O’Loan said Mr Pollock was a quiet achiever who always operated in a professional manner to push industry forward. “This included the creation of NSQA, the introduction of a comprehensive OH&S system for saleyards and the management of a number of industry events and conferences. “Vale David, a job well done and an unsung champion for industry,” he said. Family and Friends are invited to the service to celebrate the life of David Pollock in the Heritage Chapel, 733 Boronia Rd, Wantirna on Friday, April 6, 2018 at 1 pm. Sad to hear of David’s passing. A very quiet achiever in and on all the livestock industry-related committees that he always represented with full integrity and meaning for the best outcome that he worked for.